This support pillow holds the pelvis in a neutral position, giving more support to the back. Designed by Sara Meeks for Yoga, the EZ Posture Pillow is also perfect for any chair, car seat, office chair, wheelchair, airplane seat, etc. Non-returnable. The versatile EZ Posture Pillow offers proper pelvic support wherever you need to sit. 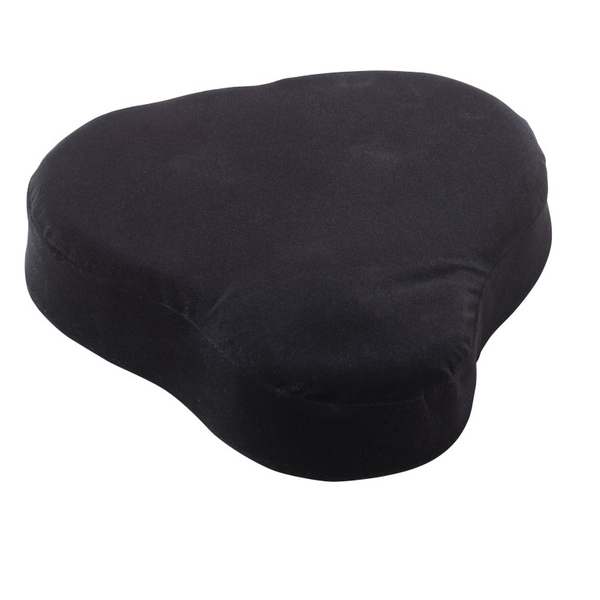 Originally designed by Sara Meeks as a meditation pillow for Yoga, the cushion has also proven to be ideal as a wheelchair cushion or support cushion wherever you sit for extended periods – car, office, home, airplane, stadium, etc. The EZ Posture Pillow’s unique design features a recess in the back for the sits bones and bump in front for the pubic symphysis. This holds the pelvis in a neutral position to offer more support to the back. Correctly sitting on the EZ Posture Pillow and elongating the spine by lifting up through the manubrium bone will put you in the perch posture, which strengthens back extensors.